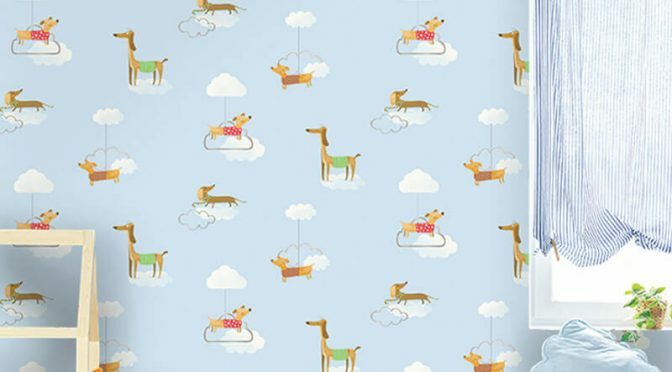 Holden Decor Walkies Dog Pattern Multi Wallpaper is a must for dog loving children everywhere. Firstly, this fun wallpaper is part of the Make Believe Wallpaper Collection by Holden Decor. It is sure to make a welcome addition to your walls. The wallpaper features a cartoon inspired design of different breeds of dogs and is comes in a whimsical design. Further more, the multi coloured finish offers a great look. Finally, use the Holden Décor Walkies Dog Pattern Multi Wallpaper throughout a room or as a feature wall. A great choice for a nursery, playroom or bedroom.